Away’s aluminum suitcases are stunning (as long as you don’t mind the weight), and much like Apple has added black aluminum to its product line over the years, so too now, has Away. The Away x Dwayne Wade is basically just Away’s regular aluminum line, but murdered out. The only real Dwayne Wade-specific touch here is a tropical (but not over-the-top) interior lining in a nod to the player’s Miami connections, but on the outside, it’s all just beautiful black metal. 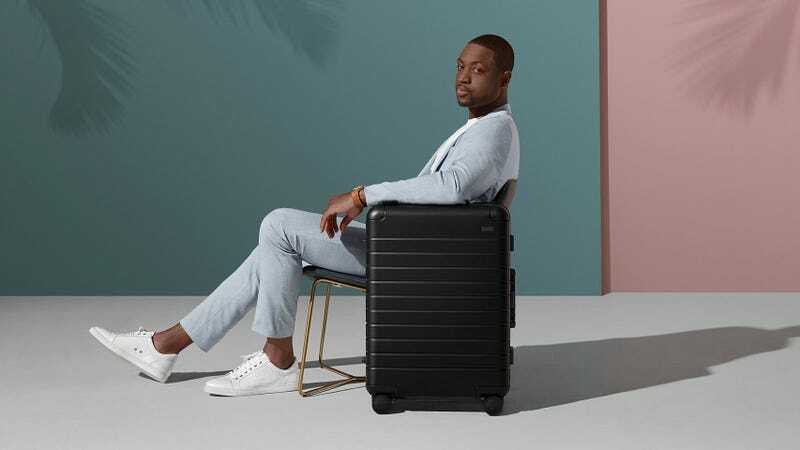 And, unlike a lot of Away’s limited edition colorways, it doesn’t carry a higher price tag than the standard aluminum, though it’s still far more expensive than their regular suitcases.